Top Knobs makes about 1,000 different types of fine decorative hardware. They have 11 different collections that cover all of your standard knobs, pulls and appliance handles. Their website displays all of their products and prices. For orders under $30, there is a $10 service fee. We have several sample display boards at our store. 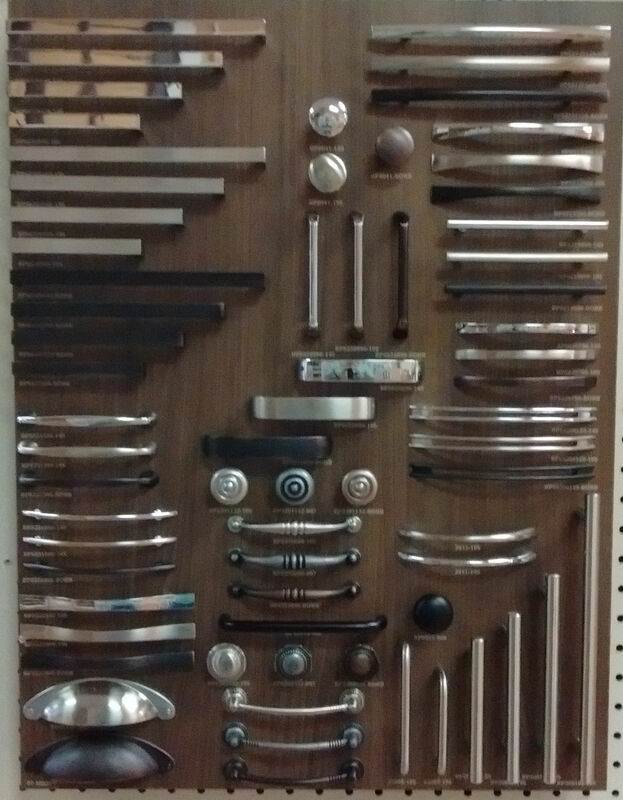 Cliffside Industries makes decorative hardware for every taste, style and budget. They have hundreds of item that cover all of your standard knobs, pulls and appliance handles. Their website displays all of their products and prices. We have several sample display boards at our store. Value Line Hardware. We carry a value line set of knobs and pulls. A total of 69 that are all priced at either $2, $3 or $4, plus a flat $10 order fee. We have a sample display board at our store.